For the third time, Google’s AlphaGo has beaten Lee Sedol, the human world champion of Go. 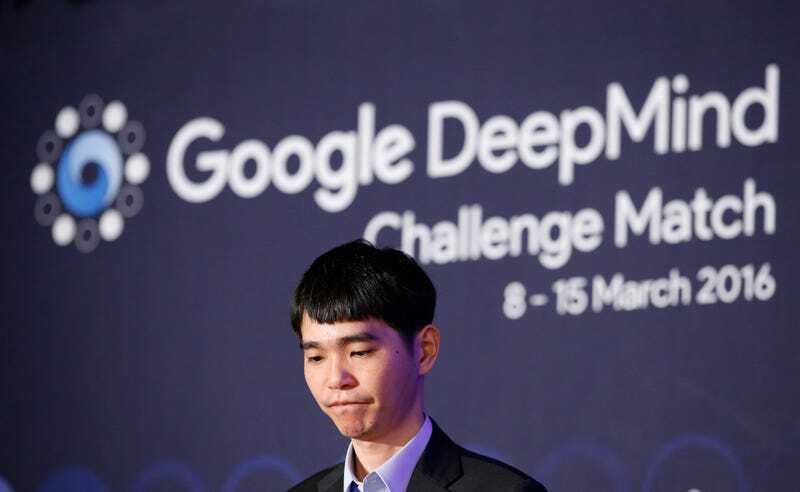 The win is an incredible demonstration of the artificial intelligence’s capabilities, and it’s a historical moment along the same lines of Deep Blue’s victory over Chess Grandmaster Garry Kasparov in 1996. The computer won its first game after 186 moves on Wednesday, and again after 211 moves on Thursday. Had Sedol won a match, the torument would have gone on for five matches. I don’t know how to start or what to say today, but I think I would have to express my apologies first. I should have shown a better result, a better outcome, and better content in terms of the game played, and I do apologize for not being able to satisfy a lot of people’s expectations. I kind of felt powerless. If I look back on the three matches, the first one, even if I were to go back and redo the first match, I think that I would not have been able to win, because I at that time misjudged the capabilities of AlphaGo. AlphaGo had already beaten European Go champion Fan Hui in October 2015, and but Sedol was a more formidable opponent for the AI. While computers have been beating human players at chess for almost twenty years now, Go is an incredibly complex game, and its victory over a human opponent is a huge indication for how far computing power and programming has come. While the DeepMind team has won the three out of the five matches in the series, they will proceed with the remaining two games.